igloo recently hosted a courtyard event with our friends at B Corp to welcome guests to our new Manchester office. 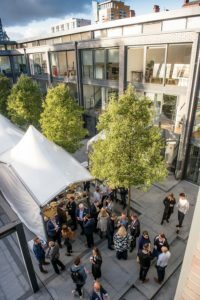 Guests were invited to our new home at 73 Tib Street in the heart of Manchester’s Northern Quarter to celebrate the growth of the company and our ongoing relationship with B Corp as the UK’s 1st certified member from the real estate development sector. Accreditation requires the highest standard of verified social and environmental performance and encourages best practice to be shared across industry groups. 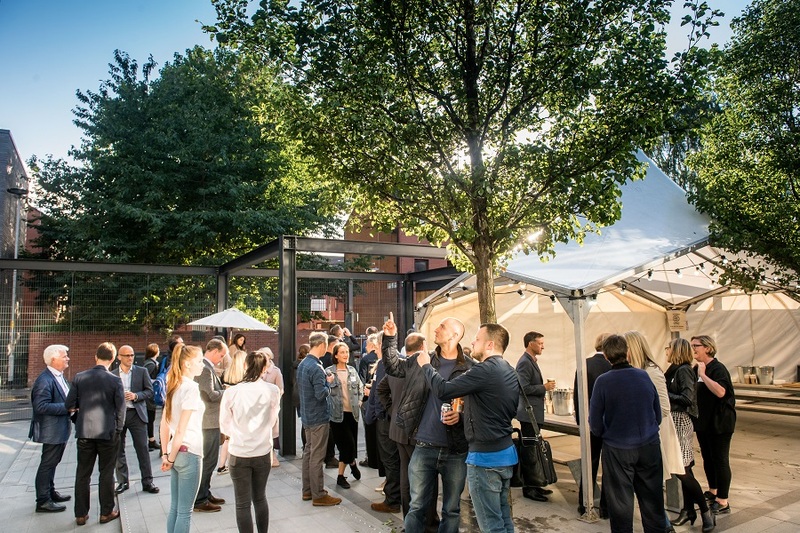 The gathering saw friends, colleagues and fellow B Corp businesses enjoy the final few days of summer in igloo’s open-air courtyard with delicious street-food courtesy of independent Manchester foodies Eat New York, and live entertainment from folk group 11am Somewhere. “Our presence in Manchester has been expanding recently so it was good to welcome our community to see the new space we now call home. The B Corp status is helpful to us in evidencing our commitment to people, place and planet and we look forward to seeing how the network may extend its membership in the North West over the coming years”. David also took the opportunity to introduce igloo’s new client PfP igloo with more announcements to follow in the autumn.